Over the past few decades many electronic devices and other objects once vital in our lives have become obsolete. 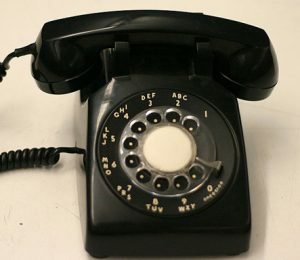 Remember rotary telephones or even telephone booths? The importance these objects had in our lives is significant. Many museums are collecting these items to document the development of technology and our relationship to it. At the McKinley Museum in Akron, Ohio, an exhibit called Mom, What’s That? includes objects from the 1980s. The Mount Prospect Historical Society has been collecting items since the late 1960s. 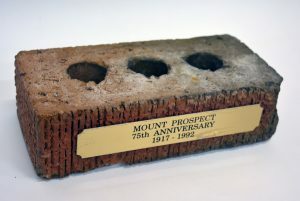 These objects reflect the growth of Mount Prospect over the past 100 years. They can be seen at the Friedrichs Museum in Mount Prospect at 101 South Maple. 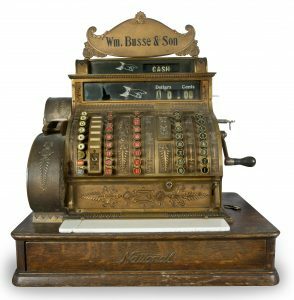 If you cannot make it there in person, you can see professional photographs of many significant objects in the museum in a digital collection called Dimensions of Life in Mount Prospect. It was almost a year ago that the Village unearthed the time capsule from 1992 as part of Mount Prospect’s Centennial Celebration. If you haven’t viewed the items in the Library’s second-floor Harold Weary Genealogy Room, come and take a look before they become part of the new time capsule that will be buried in October 2017.